If rare-earth metals can be extracted from previously quarried ore, the environmental hazards of new mines and mining waste can be mitigated. 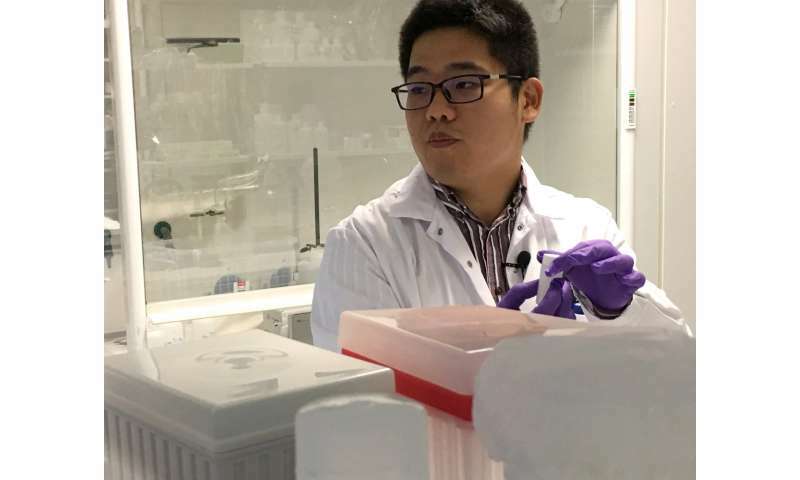 In his doctoral research, Wenzhong Zhang from the Department of Chemistry at the University of Helsinki developed a new material by which scandium, a rare-earth metal, can be extracted from the waste of the aluminium industry. The amount of bauxite needed to manufacture one aluminium tin produces some 60 grams of a reddish, clay-like substance called red mud that manufacturers used to dump in the sea. Now, it is amassing as ever-growing heaps in producer countries including Greece, and there are over 3 billion tonnes of this waste product in the world today. "The problem is that the minerals we want are hidden in the waste heaps in very small quantities, and we do not have efficient methods for extracting them," says Wenzhong Zhang. In his research, Wenzhong Zhang focused on scandium, an interesting element due to its high cost; scandium mining may soon start in Finland at the Rautalammi deposit. The use of scandium in combination with aluminium will make it possible to manufacture more durable aeroplanes and bicycles with lighter structures. Wenzhong Zhang is developing new, functional material to capture scandium cleanly, leaving the rest of the waste behind. The work of a chemist is like building with blocks. Once the blocks are in place, a usable material is born with features that can be further developed by engineers. One day, the method will be deployable on an industrial scale. "At the moment, the aluminium industry does not put its focus on the metal extraction methods. It is more interested in looking for solutions that will make an end to the mountains of waste," says Wenzhong Zhang. At the University of Helsinki, the Academy of Finland-funded USEMA project USEMA-project (Ultra-Selective Hybrid Materials for Separation of Group 3 and f-block Element) started by Risto Koivula is developing new materials on the basis of the research group's expertise in methods of inorganic chemistry and ion exchange. "There are many areas of application, such as transforming waste flows to raw material and development of new processes to destroy radioactive waste, or manufacturing radio-medicine," says Koivula.